“The City That Never Sleeps” saga concludes with its final chapter: Silver Lining. Insomniac took this final chapter in a completely different direction to what I was expecting, which is a good thing. The first two chapters felt like completely independent stories and were barely linked in any capacity, and so I had my concerns regarding how well the final chapter would be able to tie up all the loose ends and offer a satisfying conclusion to both previous parts. But alas, Silver Lining did just that. Silver Lining could have been far better, but it also could have been a lot worse, especially considering the standard set by its predecessors. The story from the previous chapter, Turf Wars, struggled with pacing and building up to a satisfying, climactic fight. Silver Lining (thankfully) did not follow suit. Sure, it definitely had its flaws but I think the story could have ended far worse. The final battle was exciting and I appreciated the spectacle of its setting. My biggest gripe with the structure of this DLC trilogy of chapters is mainly how disjointed they seem to be from each other. I mean — there’s a different poster character for each chapter! The biggest connection one chapter has to the last is simply some expository dialogue on Spidey’s phone simply confirming: “Hey, yeah you remember that thing that happened last chapter? 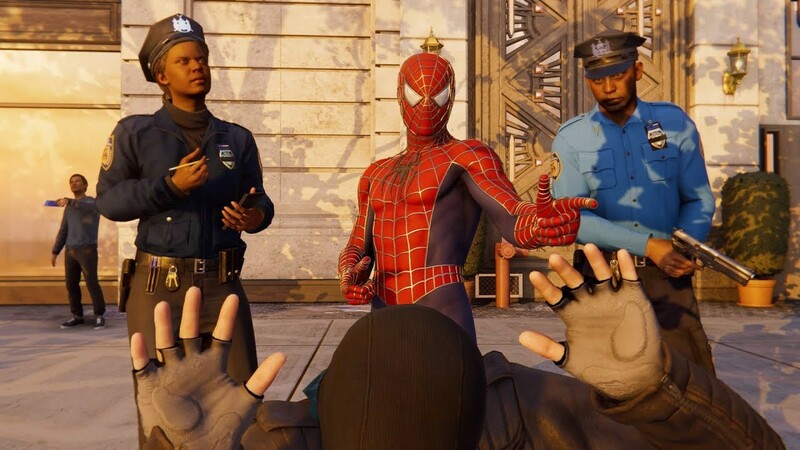 Yeah, that still happened.” This all culminates into one big mess of a trilogy — and consequently, I think the trilogy aspect to the way these DLC packs are branded is misleading. As an individual DLC pack costing 10 bucks, yeah, “Silver Lining” is as good as you’d expect it to be. 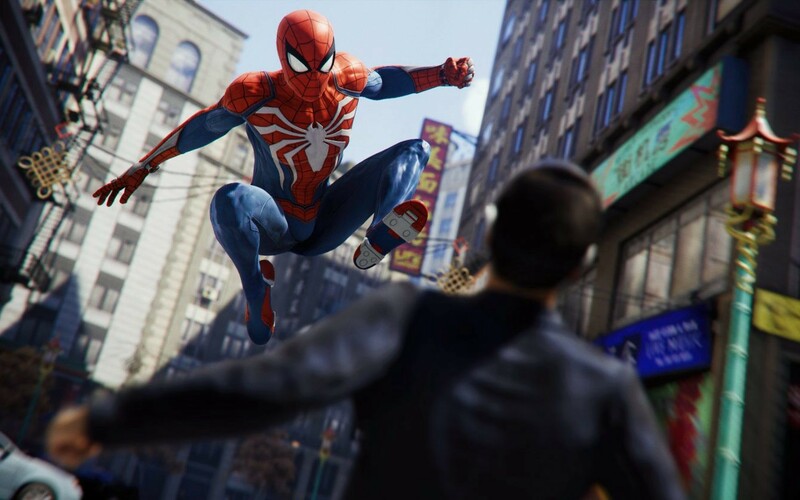 But as a part of a trilogy of DLC chapters, you expect a certain level of continuity and linear story-telling that travels through each part of an overarching story. And, in my opinion, “The City That Never Sleeps” really doesn’t do this well enough. And don’t misunderstand me, I do acknowledge that there is an overarching story amongst these three parts, but the individual stories of each three chapters follow such different narratives that it’s sometimes easy to forget that there is an overarching story. The side missions are very similar to their counterparts in the first two chapters both in gameplay and method of storytelling. 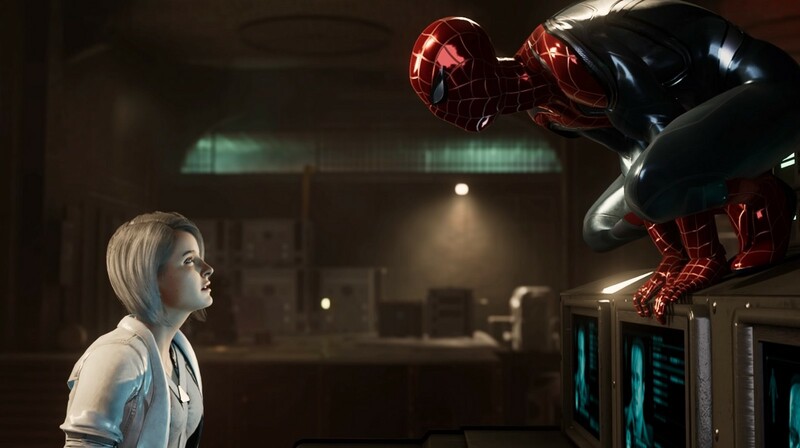 I disliked that I still had to put up with Screwball’s antics and brain-aching dialogue, but I enjoyed the Easter egg hunt-like information gathering side-objectives that furthered the telling of the main story’s otherwise forgettable miscellaneous details and loose ends. I also really enjoyed infiltrating gang hideouts (as usual), so I’m glad they added more of those into the final chapter. The suits are good, as per usual. 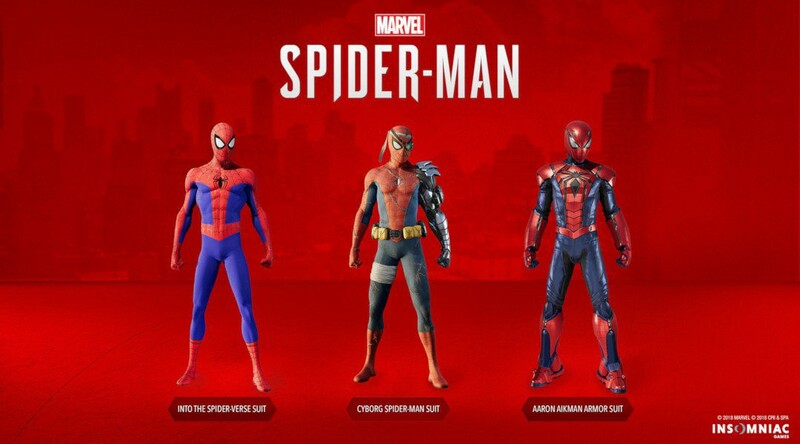 I really like this game’s awareness of the cinematic appearances of Spider-Man, and so I’m very happy that Insomniac included an ‘Into The Spider-Verse’ costume from his most recent appearance. ‘Silver Lining’ does exactly what it sets out to do, but is it any fun? Well, yeah — it’s not boring. I definitely wasn’t on the edge of my seat, but this last chapter is certainly no drag to play. A lot of the seemingly random plot points in the previous two chapters led to a lot of “ohhh” and “ahhh” moments where these story decisions started making sense as all these points slowly culminated into a cohesive overarching story — but again, the way these plot devices were used made it kind of hard to really care (or even remember) about the overarching story. The main attraction for this DLC package, as well as the others, is definitely just the prospect of more of the same content we’ve seen in the original game. 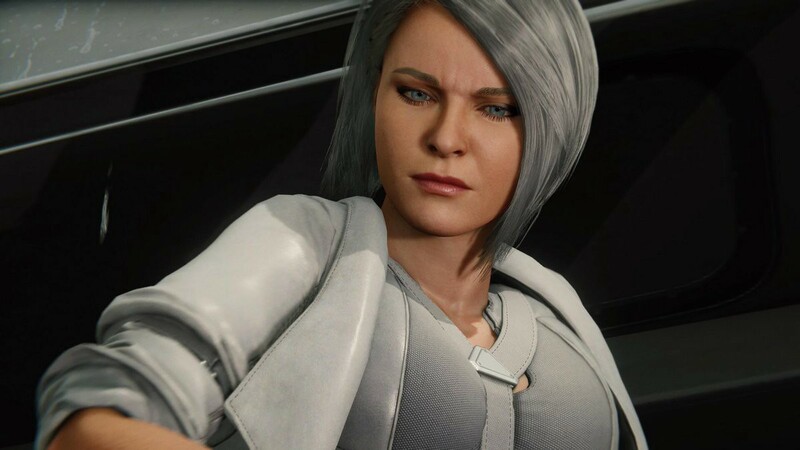 It’s clear that this DLC trilogy is targetted at the people who finished the main game wanting more, so if you’re thinking of buying this DLC with the hope of new exciting additions to the gameplay and story of the original game you will be severely disappointed. If, however, you are someone who loved the main game and wants a new reason to play through (more or less) the same gameplay again — then this DLC is for you. 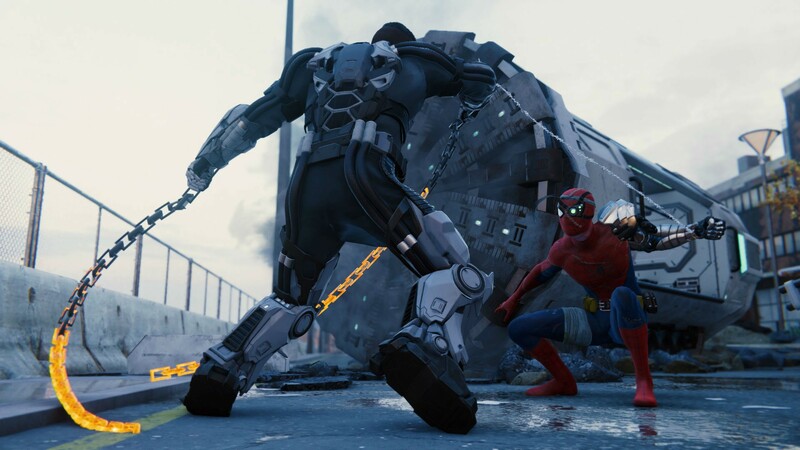 While, at this stage, the game’s original content continues to grow stale for me, I still enjoyed it enough to say that ‘Silver Lining’ is definitely worth playing for any ‘Marvel’s Spider-Man’ fans who are also not quite entirely bored of the original game yet. In-depth discussions on all things video game related.